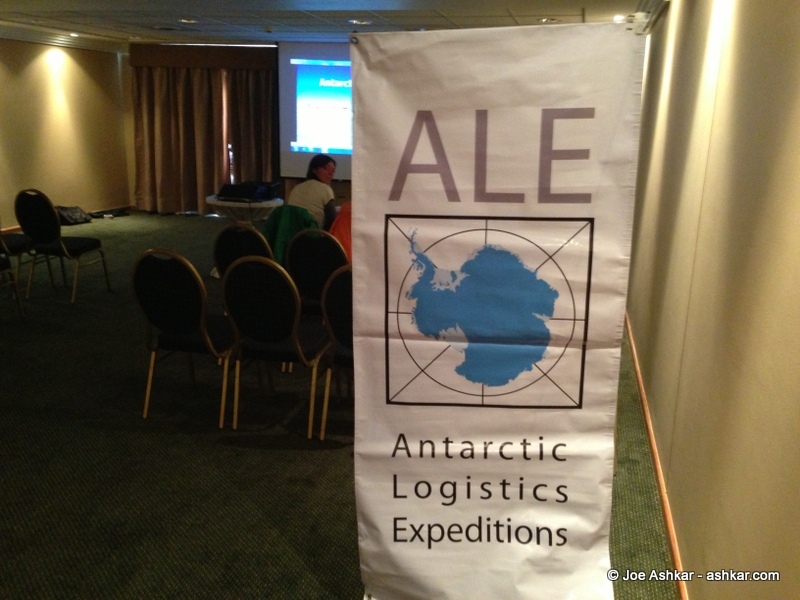 We attended the mandatory ALE (Antarctic Logistics and Expeditions) debriefing this morning at 9:00 AM. ALE operates the camps in Antarctica and handles all the logistics. The meeting lasted about 1.5 hours and we were told to have our bags packed and ready by 2:00 PM so they can be weighed, picked up, transported and loaded onto the plane. The current plan is for us to be ready by 7:00 PM at our hotel for an evening departure down to Union Glacier. ALE (Antarctic Logistics & Expeditions) briefing room. At 7:00 PM we received a call from ALE with bad news. Weather conditions worsened making it impossible to fly, so our flight has been postponed and the next possible opportunity is tomorrow morning; so we’ve been told to be ready by 6:00 AM for a possible departure. 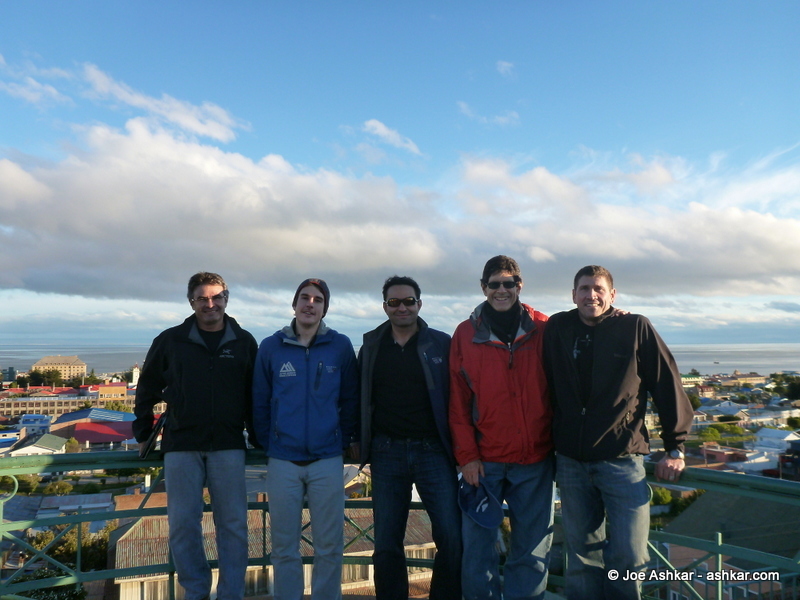 We’re keeping our fingers crossed that we’ll be able to get out of Punta Arenas tomorrow. Vinson Team Members (Rosier, Sam, Joe, Roberto, Tom) exploring Punta Arenas. In the mean time, four of us (Joe, Tom, Roberto & Rosier) along with our assistant guide Sam went out to explore the town and to a late dinner at a nice Chilean restaurant. It’s now nearly midnight and heading to bed hoping for the early departure to the Antarctic continent.